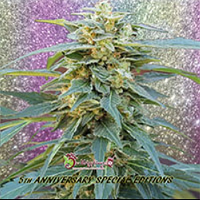 BubbleGummer Feminized Cannabis Seeds by Female Seeds: It took us many generations to finally produce a stable Bubblegummer. Our Bubblegummer has that characteristic sweet smell and euphoric high, the original trademarks of this legendary strain. 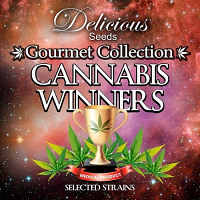 As a mother, we used a fantastically tasting American Bubblegum clone and the Skunk Special father was used from our breeder stock for its vigor and production. The Bubblegummer was first launched in 2010 and has been a hit ever since. The Bubblegummer is Sativa sub-species Sativa. The chemovar is PP/WW and CBC-haze leading to a chemogenotype of CBC-Haze x WW. It produces one main candle-shaped cola and several smaller side nugs all abundantly covered in thricomes. One out of 20 plants can display some red hues in the latter stages of flowering. You will find the Bubblegummer has a compact size, grows very vigorously and is not too branchy. Because of its compact stature it is ideal for SOG. Not for SCROG because of its limited height and very few side branches. 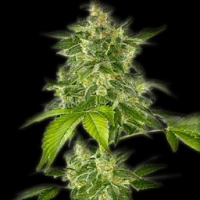 Skunk Special is very easy to grow and therefore perfect for a beginner. Sweet and fruity taste and smell with a slight hint of balsamic vinegar. The high is nicely balanced and not too strong. It is a euphoric and creative high that allows you to get things done during the day.